Nevada Cure MONTHLY MEETING AGENDA: Next meeting is in Las Vegas 28th December at 6:30 PM. Here is the Agenda for this meeting. Please become a member of Nevada Cure (only 10 USD for those on this side, 2 USD for those on that side of the wall). Together we can make more difference and positive changes! Brochure of Nevada-Cure for more information. Tonja Brown to Prison Commissioners: why are you trying to silence me and evidence in Public Records? 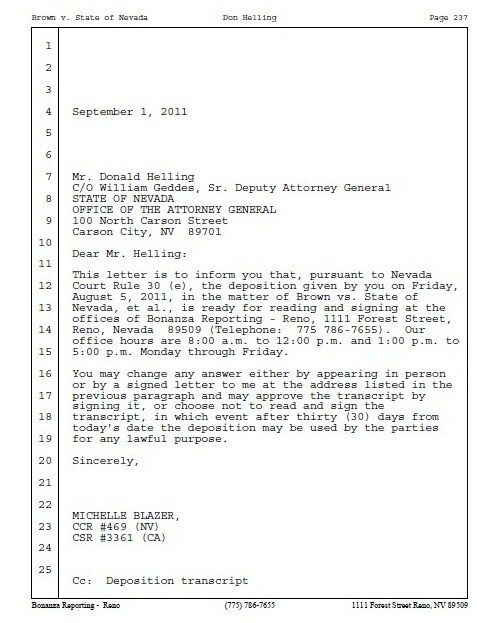 For example Documents H & H 1084- 1089 a 2008 LETTER TO JANET E TRAUT, Senior Deputy AG, from NDOC Rev. Dr. Jane Foraker-Thompson regarding inmates Michael Spencer’s and his suit. Then I refer you to inmate Joe Carpino’s 2011 letter. 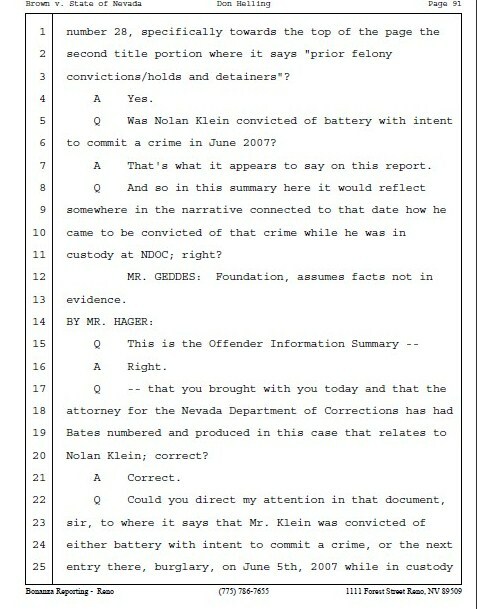 In June the AG’s office turned over some of the Discovery which clearly shows that 2005 Mr. Nolan Klein’s GANG AFFILICATION is WICCAN This is referred to in the August 5, 2011 Deposition of Don Helling pg 156, NDOC 001642. 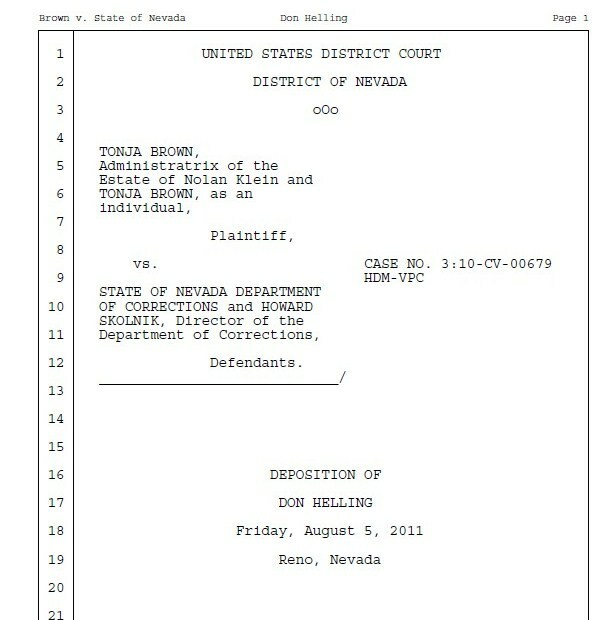 Tonja Brown v Skolnik, et Case No. 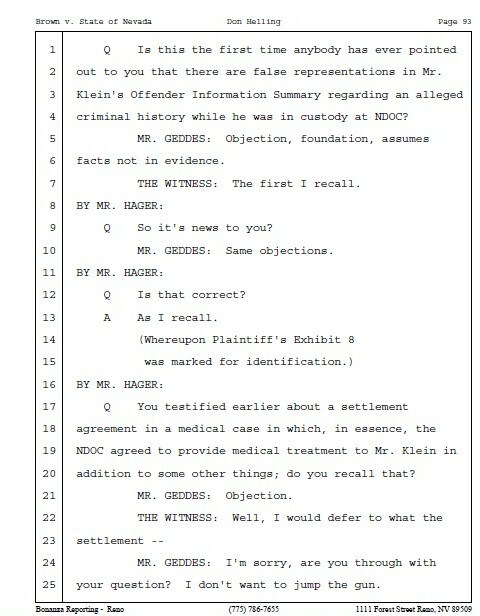 157:10-cv-00679-ECR-VPC Deposition of Don Helling page 148, and Deposition of Howard Skolnik August 12, 2011 page 71-72 refers to John Witherow, Don Evans case. Tonja Brown v Skolnik, et Case No. 157:10-cv-00679-ECR-VPC NDOC 00028 – 00036, 03811, 03854, 03855, 03856, 03857, 03935, 03911, 03912, 03935, AUGUST 5, 2011 Deposition of Don Helling to be placed on the record. 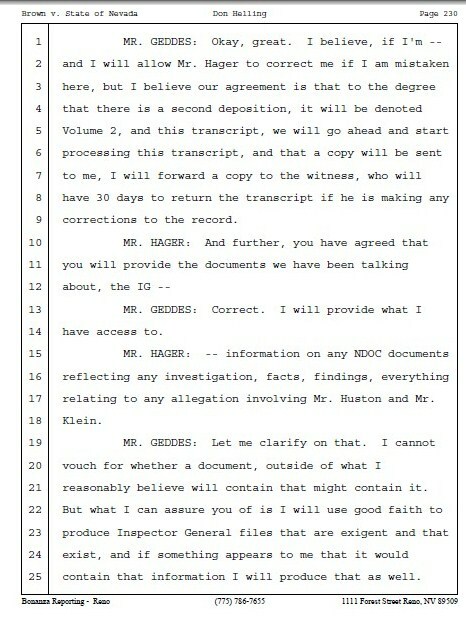 Don Evans, John Witherow v NDOC, phone calls. 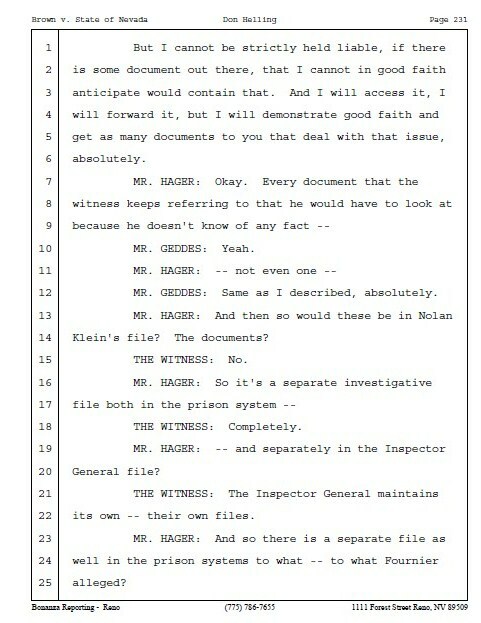 Here are screenshots (click on them to enlarge them). People you can contact Tonja (see her address above) if you want the full document. 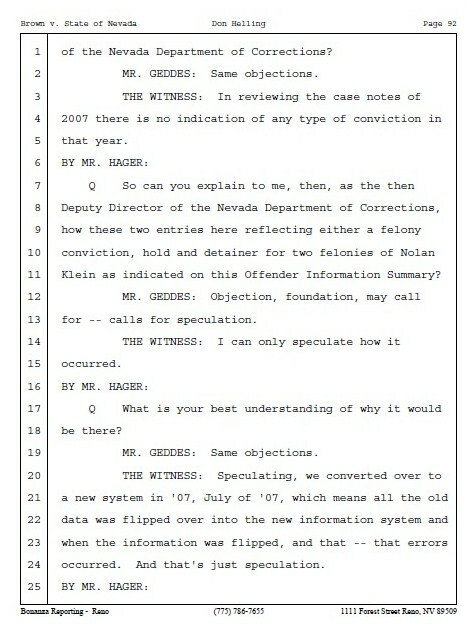 Something is clearly going wrong in Nevada, where young men are sentenced to serve time in adult prisons. Society has a duty to guide youngsters to the right path. Where did we fail them? We need jobs, not adult prison sentences. Our youngsters need mentoring and guidance, protecting them from going astray. Washoe Judge: the system has failed! A 16-year-old father-to-be who played on his high school basketball team is now among the youngest inmates in the Nevada state prison system following a sentence of up to 10 years related to an armed robbery in Reno. Jesus Oconitrillo-Calderon, whose nickname is “Chewy,” was sentenced Nov. 30 by Washoe District Judge David Hardy, who said the boy’s young age was not a criminal security blanket. The teen will be eligible for parole after serving just over two years in prison for guilty pleas of robbery and conspiracy to commit possession of a stolen vehicle. Days after he was sentenced to prison, 13-year-old Jose Cruz, of Reno, was given a life term for his role in the Mother’s Day robbery-related murder of a 27-year-old man. Cruz is now the youngest state prison inmate, while Oconitrillo-Calderon joins a group of 33 Nevada inmates between 16 and 17, prison officials said. CARSON CITY — The aging Nevada State Prison will be emptied of its last 140 inmates and 73 staff members on Jan. 9, nearly three months before the closure date authorized by legislators, the state’s top prison official said Monday. Corrections Director Greg Cox told the state Board of Prison Commissioners that he has followed the intent of the legislators who were concerned about prison workers losing their jobs unnecessarily. He said jobs will be found in other prisons for most staff members who want them. Cox said some employees who refuse to relocate to a prison 100 miles away in Lovelock will be laid off, but they will be eligible for jobs when there are openings in Carson City. Gov. Brian Sandoval, chairman of the prisons board, told Cox to prepare a written report on his closure plan and submit it to legislators and the commissioners. Sandoval and fellow Prison Commissioners Ross Miller, the secretary of state, and Catherine Cortez Masto, the attorney general, asked why they had not been told earlier of Cox’s plan closing the prison before they expected. They did not, however, block the move. Senate Majority Leader Steven Horsford, D-Las Vegas, insisted in May that the prison remain open until April 1 so that jobs could be found for staff members in other prisons. Sandoval had proposed closing it Oct. 1 of this year but couldn’t get the support to do so. Horsford did not respond for comment Monday. “The intent of the Legislature as I understand it was to reduce layoffs in the Carson (City) area and reduce the likelihood that staff would have to relocate in other areas of the state,” Cox said after the meeting. He said the Corrections Department ran up $2.5 million in unbudgeted overtime costs in July through September. That was blamed on other prisons not having a sufficient number of corrections officers while the Nevada State Prison had more than it needed to care for its declining inmate population. After officers are transferred from Nevada State Prison to other prisons, the overtime costs should drop, he said. Cox will be required to justify the overtime and seek emergency funds from the Legislature’s Interim Finance Committee, which meets Dec. 15. The 144-year-old prison held 700 inmates earlier this year when the Legislature approved its closure as a cost savings measure. They estimated the closure would save $15 million. Repeated attempts by former Gov. 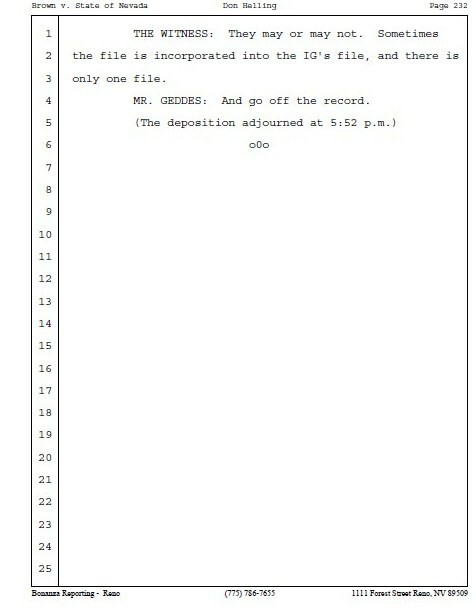 Jim Gibbons to close the prison had been blocked by legislators. Most inmates have been or will be moved to new wings in the High Desert State Prison near Indian Springs, about 45 miles northwest of Las Vegas. It costs $14,000 a year to keep an inmate there, compared with $23,000 at Carson City . Cox said jobs already have been found for most prison workers at the Northern Nevada Correctional Center and conservation camps in the Carson City area. Sixteen guards agreed to take jobs at the Lovelock State Prison. Thirteen others can take jobs there but have refused, a step allowed by regulations because of the long distance from their current jobs. Cox could not estimate the total number of layoffs after the Jan. 9 closure. This article is from the Reno Gazzette Journal, thanks to FFIP for emailing it to us. We think that someone aged 13-18 is a child and ought not to be housed in adult prison, nor should a child receive a life sentence. We wonder how much is true of HDSP “educating” these youngsters other than GED. When Jose Cruz, 13, was sentenced Friday to a life term in prison related to the Mother’s Day killing of a Reno man, he became the state’s youngest inmate — as well as being its youngest convicted murderer in recent history. Cruz is expected to be taken to prison within the next few days after being sentenced for Steve Gale’s second-degree murder during a four-hour armed robbery spree with three, adult co-defendants. The title of youngest Nevada Department of Corrections inmate had gone to 16-year-old Jose Salamanca, who was convicted in March in Clark County for voluntary manslaughter with the use of a deadly weapon. Steve Suwe, corrections spokesman, said when Cruz arrives in the prison system, he will likely go through a classification period — typically three weeks — where officials will determine where he will be placed. On Friday, prison officials were not yet sure where he would go. “We have to wait to evaluate him and see how he handles himself and the interaction with other inmates,” he said. Inmates 18 and younger are usually housed at the High Desert State Prison in Indian Springs. In that facility, the focus is on education, life skills and substance abuse. There are currently 222 males and 10 females in the NDOC who are younger than 19, Suwe said. Thirty-three inmates are either 16 or 17.